We loved this beautiful serene villa. Our family was surrounded by warm days and cool breezy nights. Patrizia, Olga, and Fedra guided us through our fabulous week here. The day trips were so amazing. Great location. We spent a very beautiful week at Lizabetta. Special thanks to Patricia and Olga for perfect cooking and cleaning. We also liked Lucca and the small towns around with restaurants, cafes, beaches and shops. Will we return next year? We guess YES! Absolutely perfect vacation. Our thanks to Patricia, the most talented person in Italy!! Excellent chef and speaks many languages. And thanks to Olga and Fedra. Italy is a paradise. 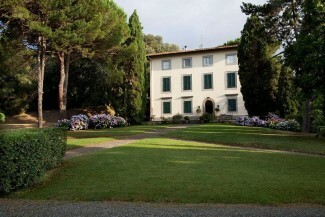 Villa Lizabetta was the best...it's definitely 5 star (if not more). We were treated royally by Olga (housekeeper), Patricia(truly a gourmet cook) and Simonia (Patricia's helper). It is a lovely home, furnished beautifully and all of us hated to leave at week's end. Fedra (the keyholder) provided us with wonderful assistance. She arranged two tours (Lucca and Florence), obtained tickets for an evening music performance in Lucca, suggested wineries, restaurants (although we chose to eat all dinners at the Villa). She joined us for dinner the last night and graciously agreed to arrange two tours for us while we were in Umbria (Perugia and Assisi).